So today I have the most exciting thing to share with you! 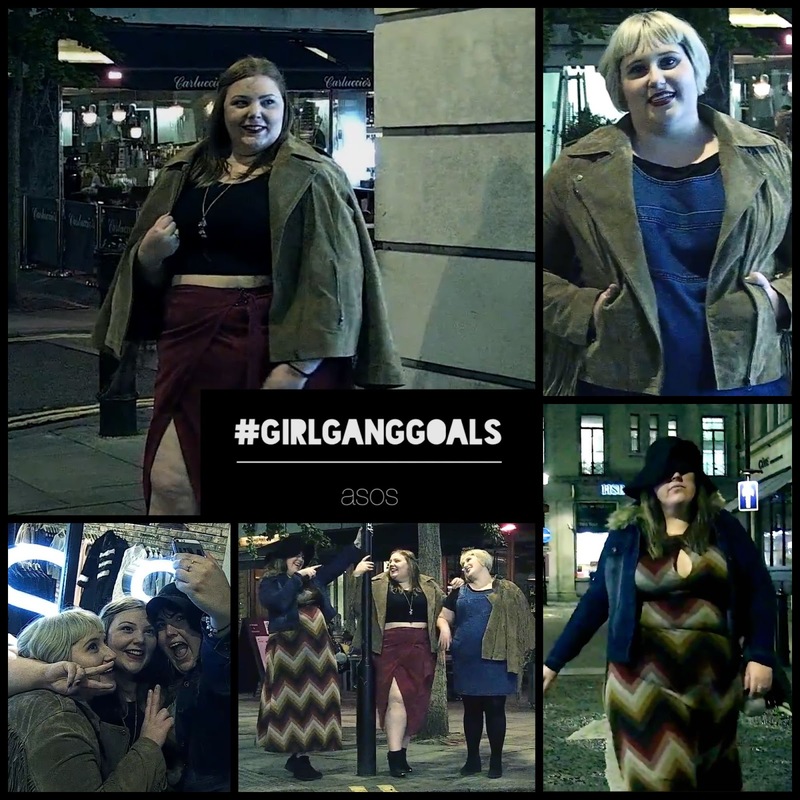 My blogger bestie, Hollie from Pretty Big Butterflies was asked by Asos Curve and #AccessAllAsos to put together her very own girl gang, and I and Michaela from Cardifforniagurl were chosen to be a part of it. Asos sent us some banging' outfits to wear and we let those creative juices flow to come up with our very own #GirlGangGoals video. With a little help from my fiancé, Steven, we hit the streets of London and showed off our wicked styles and smiles. Check out these snaps from our shoot below and don't forget to watch the epic video too! Our inspiration came from Asos' A/W 15 Lookbook video that you can watch here. It's epic and showcases some pretty wicked stuff. And now it's your turn to have a chance to join our gang - head over the www.prettybigbutterflies.com and enter to win some Asos goodies! So what do you think? Send us some girl gang love!